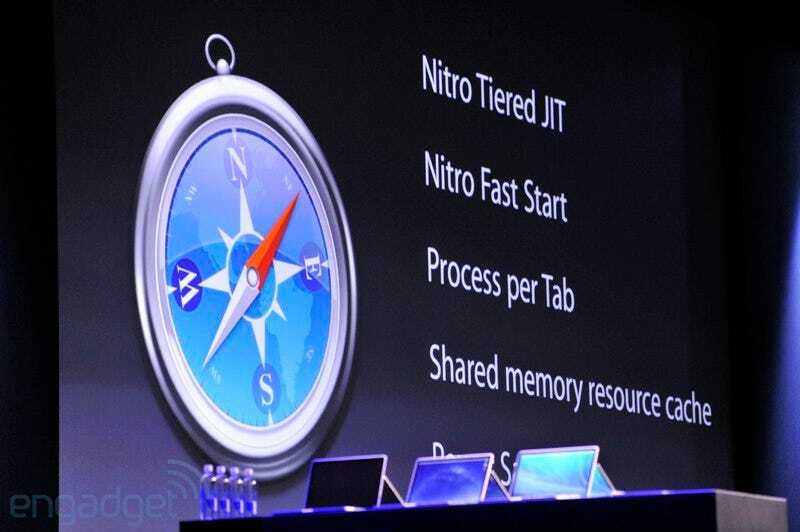 Apple updates Safari every year, but now with the help of Intel's Haswell processor, they might actually have made something that people will actually want to use. Running at about a third the energy usage of Firefox, way less memory, and 1.44 times faster than Chrome, this might just do it. Definitely the most notable change, at least design-wise, is a brand new sidebar that comes bearing both bookmarks and a "Reading List" that lets you scroll through subscribed and saved articles. There's alos a "Shared Links" feature that lists all the goodies that your friends have shared over Twitter and, uh, LinkedIN. Facebook friends need not apply,—at least not yet. You can also bookmark links with one click as well as re-share on Twitter (again, Facebook is conspicuously absent). In addition to all these more social goodies, Safari should be better at keeping people out, too, with its new iCloud Keychain. Should you find yourself needing a bit of help, it will auto-suggest a super secure password for you. And while it will remember your credit card number for you, the security code will remain safely with you. Plus, the entire iWork for iCloud suite will be optimized for the new Safari (though it does also run in other browsers). You can fully edit everything from Keynotes slides to Numbers spreadsheets in your browser and go back to them on any one of your iCloud-supporting devices. You can even view your work in Presentation Mode from right within Safari. Right now, iWork for iCloud is only available as a developer beta but should expand to include all users "later this year."